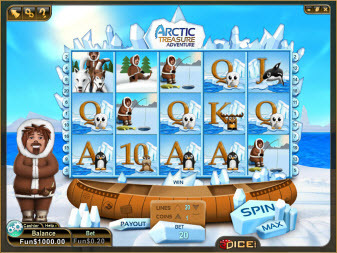 Overview: The Arctic Adventure video slot machine is a 5 reel, twenty line video slot game with a free spin feature. 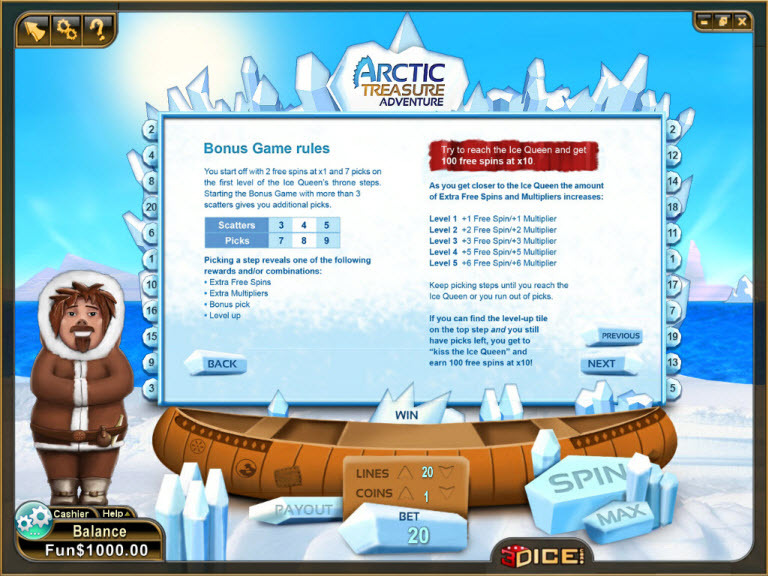 The amount of free spins and the applied multiplier during these spins are determined by a bonus picking game. 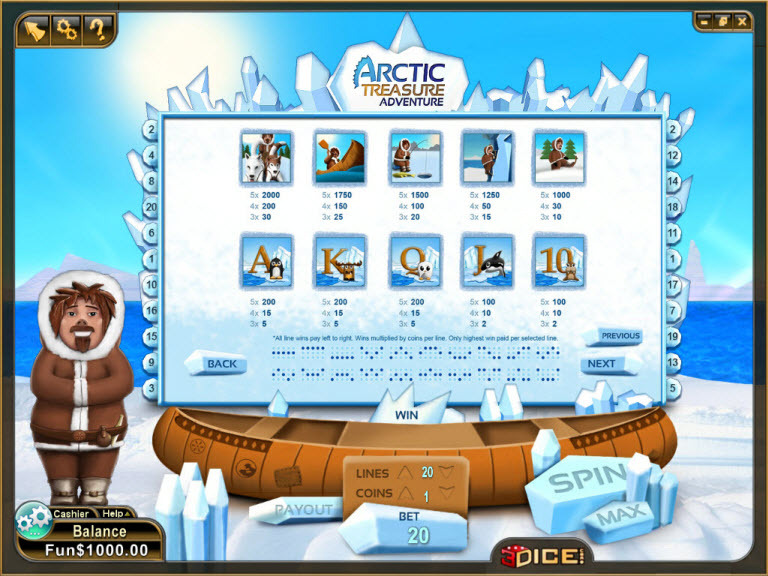 The paytable can be viewed within the game by clicking the payout button. 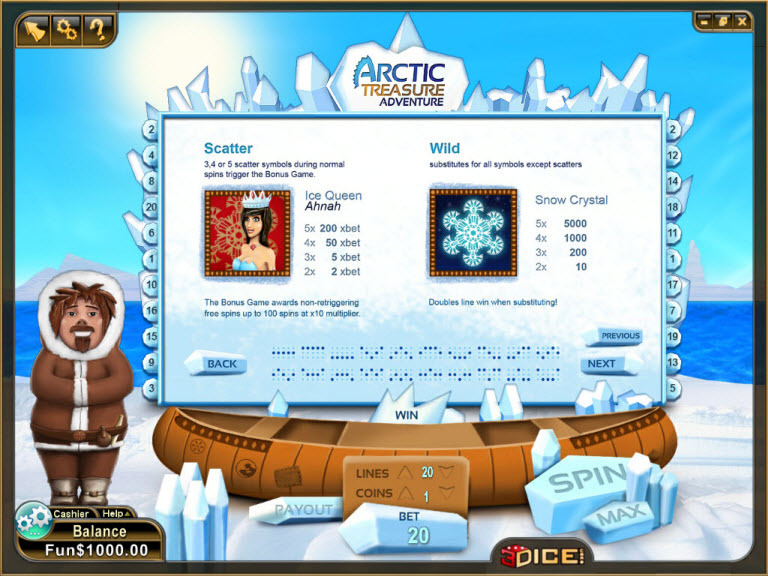 On 3 scatters, you start off with 2 free spins at x1 and 7 picks on the first level of the Ice Queen's throne steps. Starting the bonus Game with more than 3 scatters gives gives you additional picks. 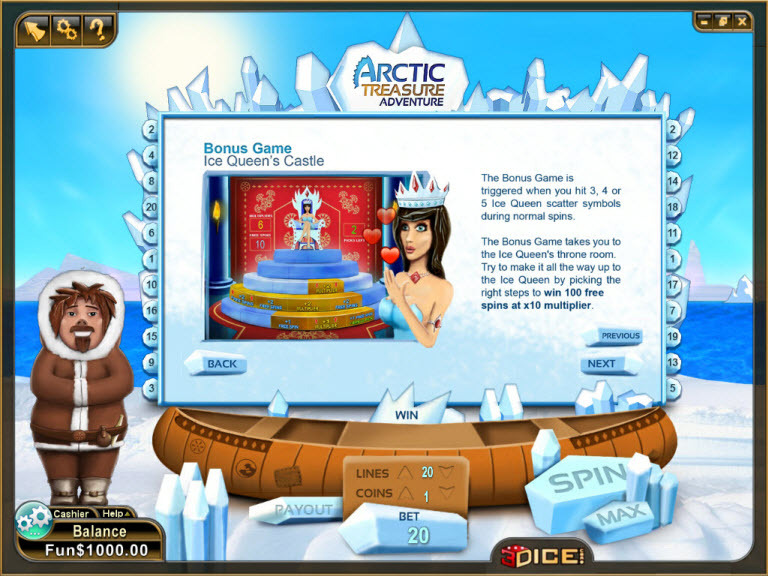 Similar Slots: If you like Arctic Adventure, you might like these other slot machines from 3Dice: Coral Clams, Double Dough, ISS Super Spin, Kyoko's Quest, Medieval Moolah.